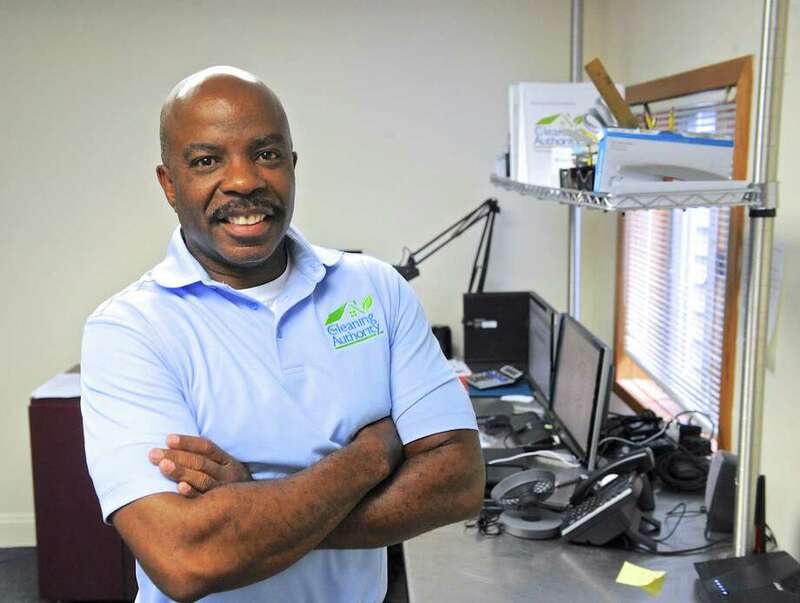 DANBURY — Chris Morris has just opened a residential cleaning business, The Cleaning Authority, in Danbury, Conn. Tuesday, August 9, 2016.Words of advice from his grandfather helped lead Chris Morris down the road of entrepreneurship after he was laid off from his job in the financial services sector. “Do a job that no one wants and do it with excellence and you’ll always have work,” Morris recalled his grandfather saying. Morris last week opened a franchise of The Cleaning Authority, a residential cleaning service with more than 200 locations in the U.S. His 20-year career in financial services included roles with Master Card, American Express and Merrill Lynch. Remaining in Danbury after losing his job was important to Morris as he has two children at Immaculate High School. He also wants to re-establish Western Connecticut Youth Sports, a nonprofit organization that offers sports instruction in a noncompetitive setting. He established the program in 2012 and it reached a peak of 200 coaches and players before not having a season in 2016 because of the uncertainty with his job situation.